Very fun to drive and it handles very well. 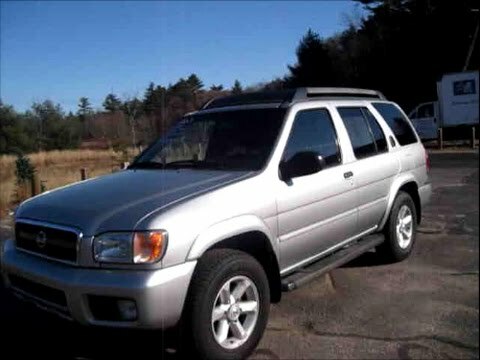 My pathfinder is very reliable, it is a very trustworthy SUV, it has 248 horsepower and has the get up and go power but yet is still decent on the gas consumption. I get anywhere from 18 to 20 miles to the gallon. It is also very comfortable to drive. It has a sunroof and leather seats that are power controlled. The ac works very well and will freezes you out. It is got a few quirks that are it is down side. One is the Bose radio 6 CD changer with tape player. The CD player works when it wants to, does not matter what CD you put in, and the tape player likes to eat up tapes. Also it would have been nice if Nissan had put an auxiliary plug in the radio. But when it does work the sound quality is excellent. Another downfall is the shocks and struts. To replace the front struts it is very expensive even if you are a mechanic it is still costly to purchase them and why are the drivers side more expensive than the passengers side?? But other than these few little things I am very happy with the pathfinder. I enjoy that it can fit up to 7 people if needed and also all seats fold down. Really disappointed with the center console dials that allow me to adjust the front and back air conditioning/heat/etc. I end up having to stare at them which causes a safety hazard. I do enjoy the sunroof and my speakers are good too for when I want to listen to music. I also enjoy that there are two extra seats in the back that pop up. It is also convenient to put down all the seats in the back for storage and room. I am able to sleep in the back when I need and also move large items. It is also convenient that I can tow things with my Nissan Pathfinder. I bought it for just transportation to and from work and made sure it was a 4x4 for winters here. So far so good. The engine is strong the transmission is good and the truck rides relatively good for its age and miles. It consistently gets 17-18mpg. Can't complain about it much other then issues with the rockers rusting and rotting. I would definitely get another one or recommend it to people who want reliable transportation for an affordable cost.